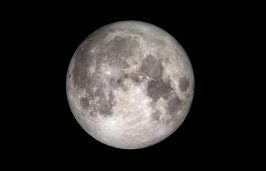 NEW HANOVER COUNTY – The seventh annual Cape Fear Museum Star Party is celebrating the 50th anniversary of the Apollo 11 moon landing 7-10 p.m. April 12 at Carolina Beach State Park, 1010 State Park Road. 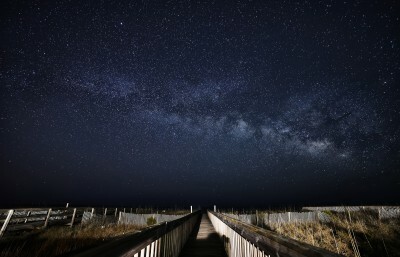 Learn about the night sky during the April 12 star party at Carolina Beach State Park: Photo: Pete Kreps. The Cape Fear Museum, Carolina Beach State Park, Cape Fear Astronomical Society and several other community partners combined efforts to host the evening themed, The Moon and Beyond. Bring a flashlight to this free evening that will feature a guided night sky tour as well as up-close views of the moon, stars, planets and more using binoculars and a variety of telescopes. Those new to stargazing can attend an indoor orientation to the night skies, learn stargazing tips from experts and listen to star-themed stories at the Stellar Story Corner. There will be hands-on activity stations to learn about the moon, an opportunity to pose for pictures with a giant inflatable glowing moon and a chance to enter raffles to win prizes and passes to local attractions. North Carolina Science Festival’s seventh annual Statewide Star Party is made possible by the North Carolina Space Grant. Participating organizations and institutions across the state will be hosting sky-watching parties to help people discover the wonders of their night skies. While the star party will take place rain or shine, some activities are weather dependent. In the event of cloudy or overcast skies, telescope viewings and laser-guided constellation tours will be canceled. In the event of rain, outdoor activity stations will be canceled and only those inside the park’s visitor center will remain, however, space and parking will be limited. Event parking is at the marina at the back of the park. Wilmington Trolley Co. is providing complimentary shuttle service and handicap transportation via golf cart is available upon request.